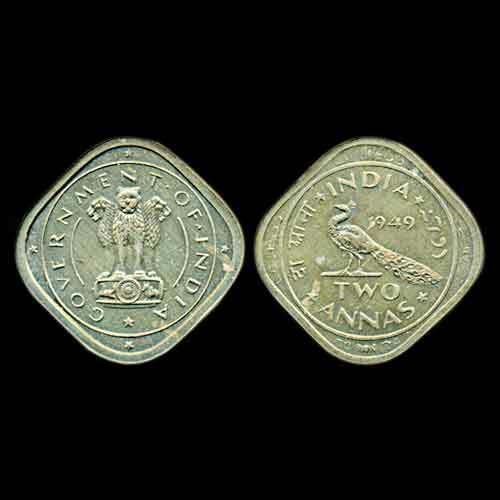 The first coinage also known as the Anna series of Independent India replaced the coins bearing the portrait of King George VI. This coinage illustrated the motifs and symbols representing the indigenous characteristics of the country, to have a familiar appeal to it. The above shown square coin is the nickel-brass pattern two annas. It was issued by the Bombay mint in 1949. This coin is uncirculated and extremely rare. The obverse of this coin depicts a peacock with date above it and denomination below it within the line border. The reverse of this coin depicts the Asoka column with the legend ‘Government of India within the line border. Todywalla auction is selling this coin for the estimated bid of INR 2, 50,000 to 3, 00,000 in the upcoming auction on 21st April in Mumbai. So, don’t miss this golden chance and start bidding for this rare coin.